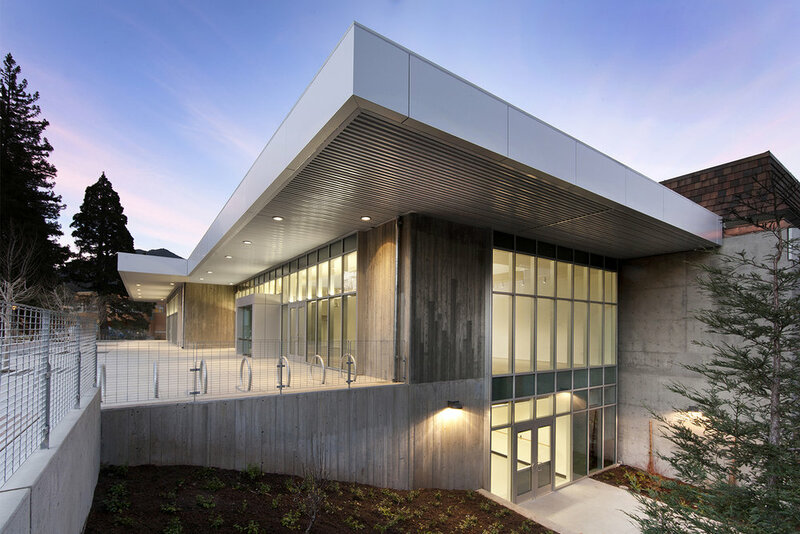 This community college arts complex consists of a new 30,000 square foot building for fine arts programs, and an addition of dance studio, art gallery, and lobby to a 65,000-square foot performing arts facility. Linking the two buildings is a new “Arts Plaza” that provides outdoor venue opportunities for the creative arts. The design solution allows building functions (art studios, classrooms, dance studios, art gallery, theatre) to be symbiotic with outdoor spaces (roof gardens and plazas), enhancing interactions among the diverse arts programs. The existing Performing Arts Building - built in 1965, was not architecturally distinguished, and was functionally outdated. 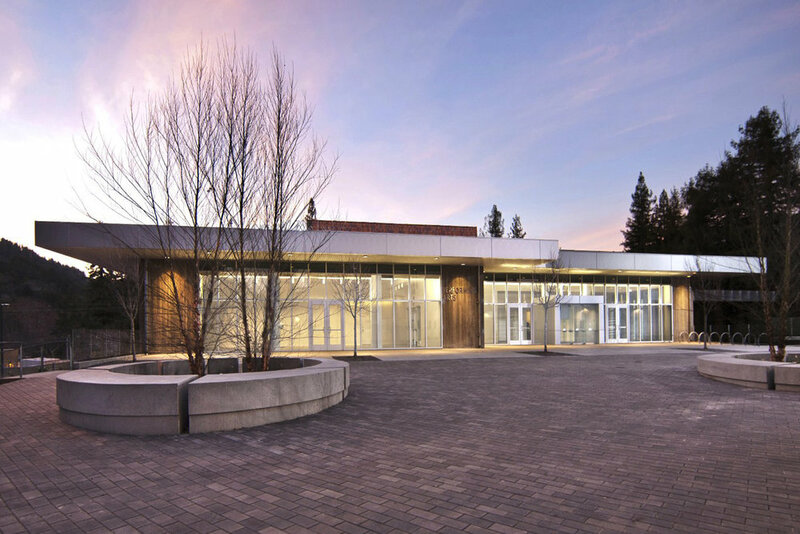 The new addition to the Performing Arts Building is designed to create new façades, and include dance studios, a box office, lobby, and art gallery. Owing to the topography of the site and large expanses of glass walls, the sense of interior to exterior connection and visibility is heightened. 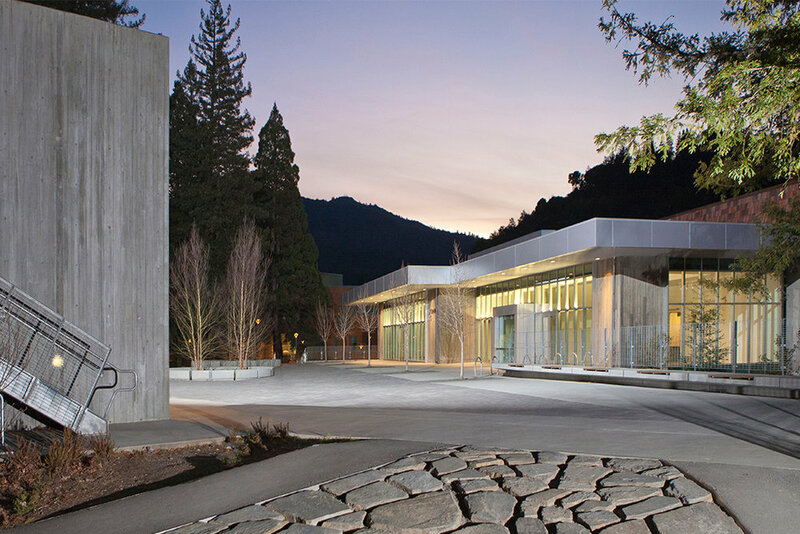 The architects shared the institution’s commitment to making the building as environmentally green as possible, while satisfying programmatic needs and prescribed guidelines for safety and building size. In addition to providing ecological benefits and tapping into contextual qualities of the site, the sustainability strategies ensure high benefit to cost, durability and image. The combination of natural lighting and ventilation achieved through calibrated massing and technical innovations keep air fresh and temperatures moderate without heavy energy usage. The LEED Silver project features solutions for indoor air-quality, water efficiency, extensive passive sustainability strategies and reduction in energy costs and ecological impact. According to PG&E, the savings account is 16.1% better than the baseline.